Flex circuit patches provide detection capability for UV radiation and toxic gases. Wearable sensor patches that detect harmful UV radiation and dangerous, toxic gases such as hydrogen and nitrogen dioxide, have been created at Melbourne’s RMIT University. 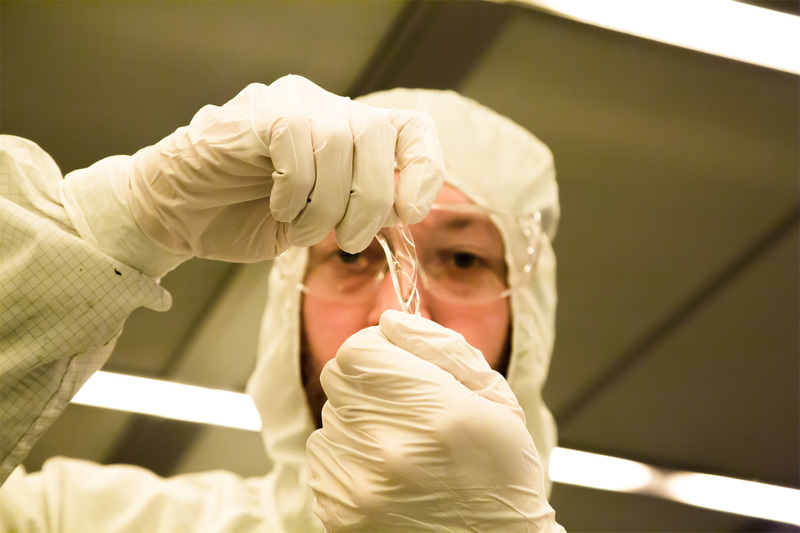 The transparent, flexible electronics can be worn as skin patches, much like a nicotine patch, or incorporated into clothing. The latest development follows a breakthrough in bendable electronics which has paved the way for flexible mobile phones. The sensors are cheap and durable – attributes which will see flexible electronics and sensors become an integral part of everyday life. The unbreakable, stretchy electronic sensors are also capable of detecting harmful levels of UV radiation known to trigger melanoma. Zinc oxide – present in most sunscreens as a fine powder mixed into a lotion – is used in the form of very thin coatings as the UV sensing material. This layer has a plate-like (called Micro-tectonics); the plates can slide across each other like the geological plates that form the earth’s crust, allowing for high sensitivity and the ability to bend and flex the devices.